Crafty Fox has been in business for many years. With backgrounds in interior design and an enthusiasm and passion that are obvious, Brenda Fox is in the business of making memories. In addition to preserving and drying flowers for weddings, Crafty Fox provides a thorough wedding service, even available to coordinate the church on your wedding morning. Crafty Fox team will dress churches, provide wedding stands, floral bouquets, provide matching chairs with covers, and colour coordinate all the accessories to match your desires. Any colour can be catered for. No bridal request is too much for Crafty Fox. They are dedicated to bringing you the most special day of your life and working to provide memories that you will cherish. In addition to these services, Crafty Fox caters to the unique. They enjoy creating unusual pieces, and have designed for wedding magazines, such as Irish Brides Magazine. They have experience in dressing any church, and can coordinate any colour into the dressing. They have also dressed various other halls and buildings including the Dublin Tourist Office, Chamber of Commerce, the Irish Rugby Union and too many hotels to count! Professional interior decorators and architects as well have been thrilled with custom dyed floral pieces that accent a room’s interiors designed by the Crafty Fox team. Whatever your memory, Crafty Fox team is happy to work with you to create something you will love. Whether it’s your wedding, your baby’s first lock of hair, your original dancing shoes, your golf club that you won the tournament with or even just that last finishing touch for a project; Crafty Fox is happy to create a unique piece just for you. Crafty Fox prides itself on its wide selection of Wedding services. 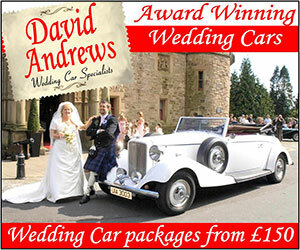 Every bride deserves the best day of her life and our aim is to make your wedding day as perfect as we can. We are happy to help look after your wedding memories, before, during and even after! We offer uniquely designed floral pieces for your wedding, whether it is bouquets, table pieces, church decorations, or even floral dressings. We are always happy to coordinate our flowers and displays to your chosen colour scheme. We can even dye flowers to match! 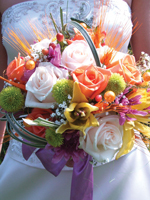 Unlike many florists, we also offer our services on the day. We are happy to dress the church or registry office or even reception room on the day. This provides a unique feel to your wedding. Any other event in the same place will be a different feel, as our decorations can help create the atmosphere you are looking for. Our staff will help coordinate your wedding morning, from the decorations, to helping make certain everything is running smoothly! We also provide many wedding accessories to further make your wedding special. Whether you desire matched chairs for the altar or wedding stands with candles, we can accommodate any request. We are happy to colour coordinate any of these as well as your decorations, and again, any colour scheme is welcome! Once your wedding is over, many brides often wish they could capture the beauty of their day. We are happy to dry wedding bouquets or other arrangements into keepsakes that last. We can incorporate other memories of the day if you wish as well. Whatever your wedding request; Crafty Fox is here to help. Contact us with any queries and we will be happy to help make your wedding day the perfect day you dreamed of. 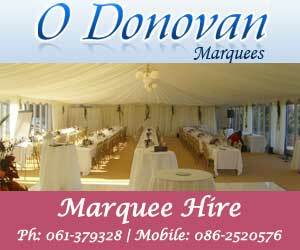 "Looking for Bouquet Preservation Ireland, Wedding Flower Packages Dublin, Flower Shop Dublin, Wedding Flowers Meath, Bouquets Kildare, Bouquet Preservation Wicklow"